Living in a cramped dorm or studio apartment is all part of the college experience, but that doesn’t mean you can’t make the most of your living situation. With some clever and creative storage solutions, you can keep your room organized and fit most of your belongings. Of course, you won’t be able to take everything with you to college, which is where a storage unit comes in. Here are some easy storage tips and solutions for college students living near Palo Alto. Whether you live in a dorm room or an apartment, you’ll probably need to get creative if you want to save space and stay organized. Fortunately, there are tons of multi-purpose items out there that can help you do just that. A multi-purpose hanger, for example, lets you hang up your favorite necklaces and belts underneath a blouse or jacket. To conserve space and keep your room looking clean, look for over-the-door storage bins and keep books, CDs, and DVDs up off the floor. Stacking vertically can also help clear up floor space and give your room the appearance of being larger. Unless you share a bunk bed, purchase raisers or simply place your bed on cement blocks. The added space will provide ample storage space beneath your bed, where you can store boxes, plastic totes, sports equipment, extra clothing, or whatever else you need to store away. For everything that won’t fit inside your room, store it at a secure storage facility near your dorm or apartment. Big furniture, expensive items, and seasonal clothing are ideal for a storage unit, since they are easily accessible without taking up valuable space in your small dorm or apartment. Just make sure the storage facility you choose is safe, clean, and secure. There are a lot of storage facilities near Mountain View , but there’s only one Independence Storage. For almost 20 years, we have offered professional storage services for residents in Mountain View, CA and the surrounding areas. We love to provide our customers with packing and storage tips to make the best use of their storage unit. All of our storage units are safe, secure, and clean. We also offer online bill pay for your convenience. When you choose Independence Storage, you can rest assured that your possessions are secure. You will also enjoy working with our friendly and courteous staff. Whether you’re moving into a smaller home, consolidating households, or even going on a long-term vacation, a storage unit can help you keep your most precious belongings safe and secure until you need them. 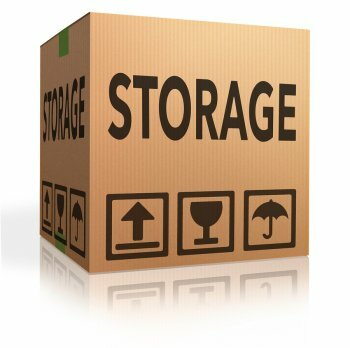 Here are some tips from a storage facility in Mountain View, CA to help you get the most out of your storage unit so you can fit everything you have without needing to get a second unit or upgrade to a larger unit. Before you start throwing everything in your new storage unit haphazardly, start with the biggest items in the back of the unit. Turn couches on their side and stand them upright, place bookshelves against the wall, and slide in any other large pieces of furniture you might have. Once these big items are in, you can get creative when placing everything else around them. As you load your storage unit , take every opportunity you can to stack vertically. When stacking, place the largest and heaviest objects on the bottom for the most stability. Be careful not to go too high, however, or you may risk injury when you attempt to take down the stack when you move out of your storage unit. When it comes to packing a storage unit, the most successful renters are those who get creative when consolidating and stacking items. Place boxes on top of shelves, stack chairs, throw bags of clothes on top of couches and large furniture items, and look for other opportunities to store smaller items inside of larger pieces of furniture. As you look for a storage facility near Capitola, make sure the facility is clean, safe, easily accessible, and well-kept. For added convenience, look for a storage facility that offers online bill pay and 24/7 accessibility.